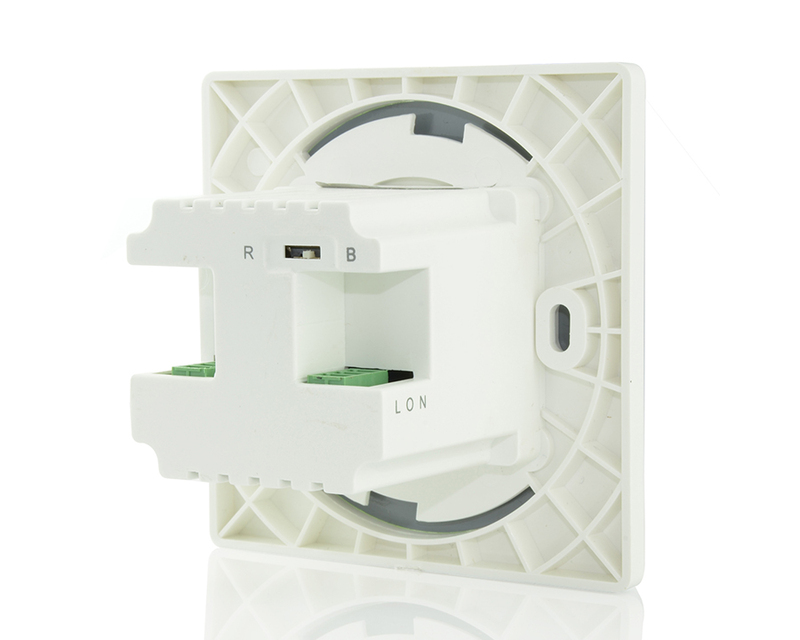 1.Adopt the original creation D/A temperature compensated auto frequency control technology（TAFC）, the lasting stability ensure that the WiFi signal is not dropped. 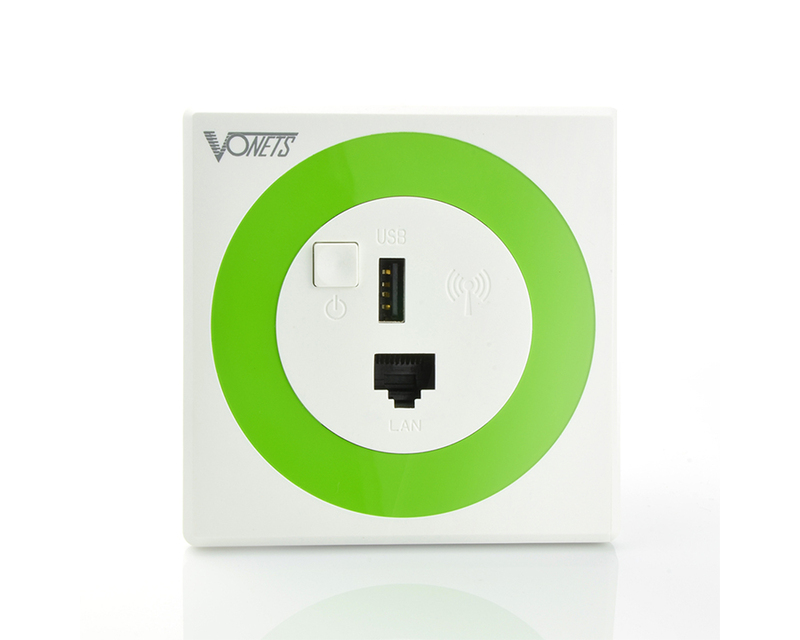 3.Low power consumption, the whole power consumption less than 4W. 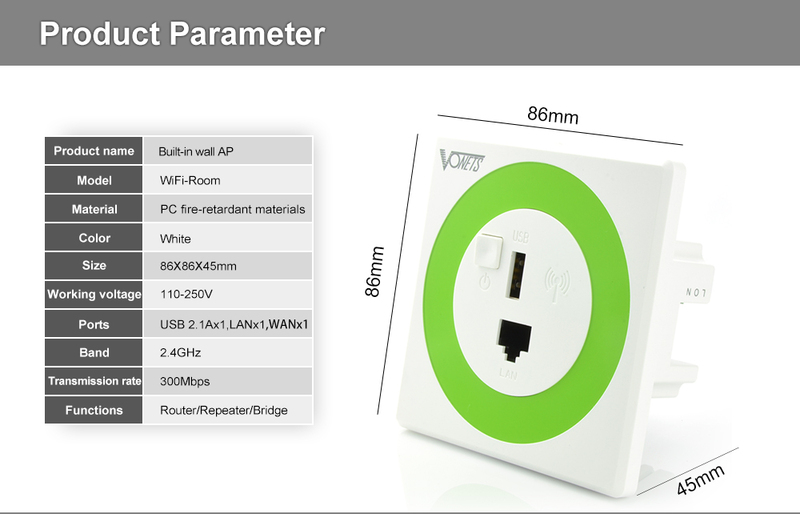 4.Support WiFi router mode and WiFi intelligent bridge mode. 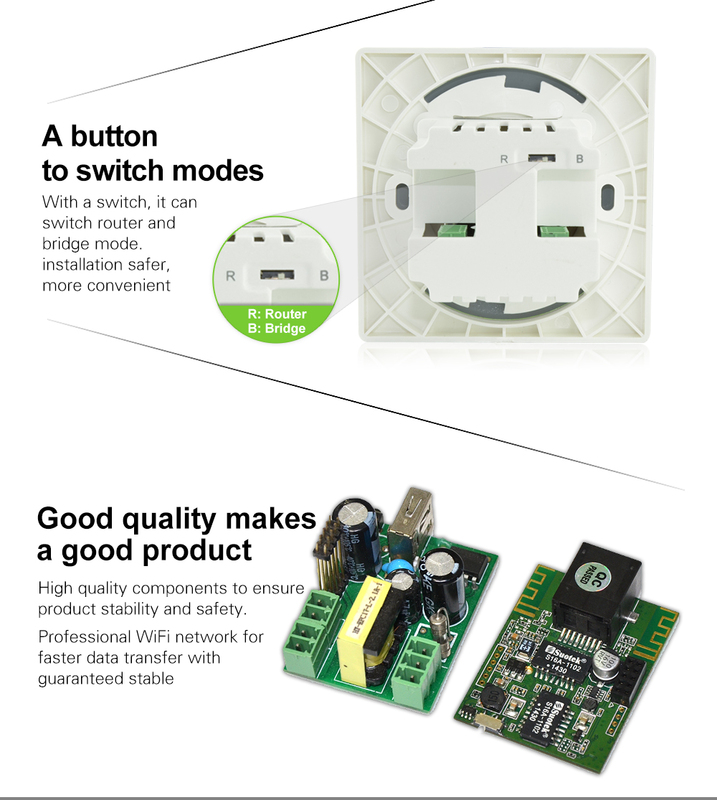 5.WiFi intelligent bridge function, wired to wireless, wired to wireless smart switch. 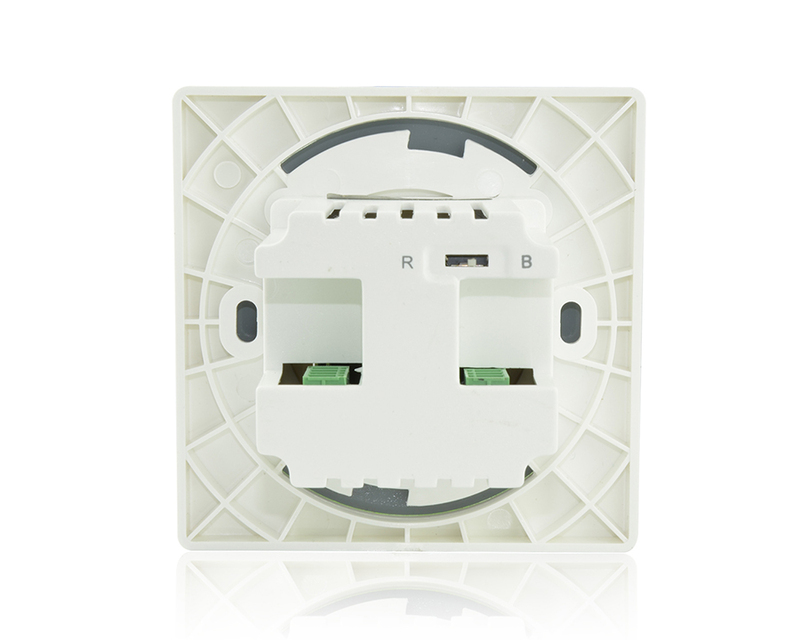 6.In WiFi intelligent bridge mode, it supports WiFi hot spot scan automatically and WiFi hot spot memory function. 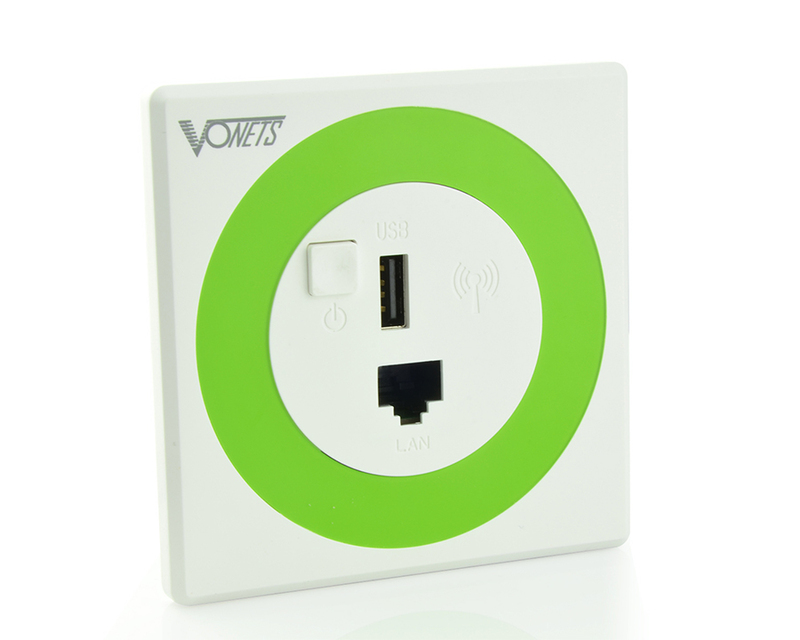 7.2.1A charge function, automatically suit for most smart phones and laptops. 8.With a switch, it can switch router and bridge mode. 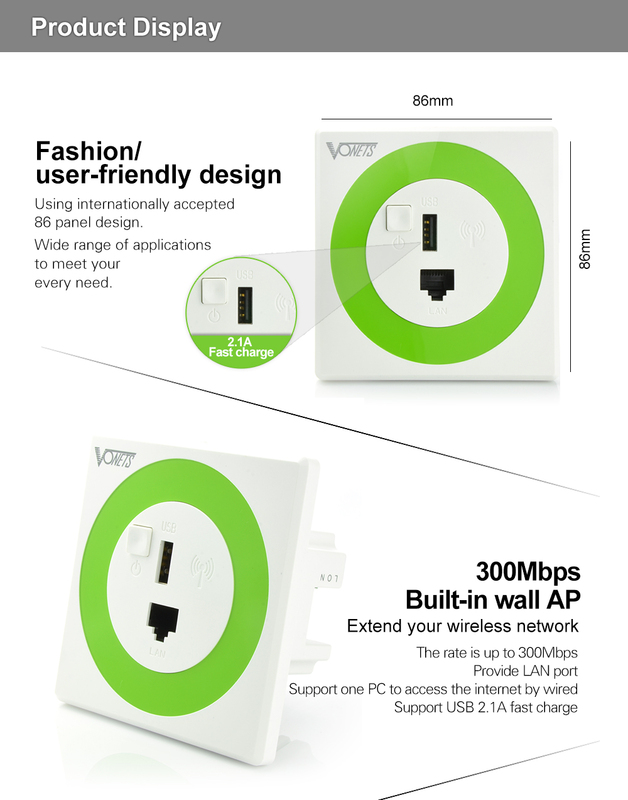 9.Support 802.11N WiFi transfer protocol, 300Mbps rate of transmission. 10.Support WEB remote firmware upgrade, can get the latest firmware for free. 11.Original creation VDNS virtual domain configuration technology solves the user’s trouble of configuration. 14.No barrier transmission distance: 100 meters. 15.Good compatibility, almost compatible with all of the smart phone, tablet computer, notebook and WiFi devices. B/G mixed, 802.11G only, 802.11B only.